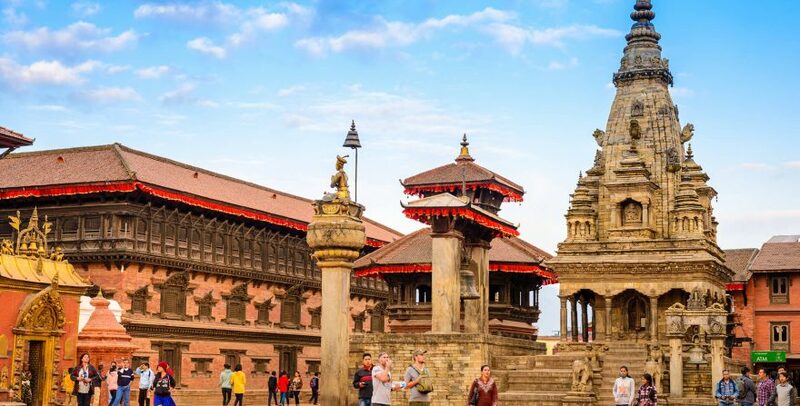 Highlights of Nepal Tours is a special ten days opportunity to the travelers who seek to explore the rich and diverse cultural, religious and historical heritage and rich natural splendor of the country. Bharal Adventure offers the amazing Nepal tour package for the sensational memory creation of this cultural nation. The trip offers the travelers an exciting combination of natural, cultural and spiritual experiences. In addition with thrilling proximity to wildlife, mountains, and splendid landscape, a taste of mouthwatering. Nepali culturally diverse cuisines, art and architecture and peacefulness of temples and gompas. It constitutes of activities such as discovering cultural variety, rich wildlife and marvelous mountain views, jungle safari. In addition short hikes along the green and rocky hills in the country. Nepal tour characterized in terms of adventure, culture, and mountaineering. From pilgrimage to the family tours Nepal is the best place to spend your holiday. It shall begin with a tour around the UNESCO World Heritage Sites in and around Kathmandu followed by thrilling wildlife experience in the sub-tropical jungles of Chitwan National Park. A drive to the Lake City, Pokhara, rich in natural heritages shall be followed by hiking along the beautiful landscape in Pokhara as well as around Kathmandu. The discovery of Nepal’s rich medieval architectural grandeur in Patan and Bhaktapur shall mark the end of the trip. Therefore, Book the amazing Nepal Tour package put forwarded by the team of Bharal Adventure Pvt. Ltd.
After breakfast, guests will set off to a guided tour to four of the UNESCO World Heritage Sites in Kathmandu, Kathmandu Durbar Square – ancient palace of the then kings of Nepal, Hindu temple Pashupatinath, and Buddhist stupas Swayambhunath – The Monkey Temple, and Boudhanath. A long drive to Chitwan will set in motion just after breakfast. Upon the arrival at the hotel, the guests will be briefed about the activities they will be betrothed with during their stay. Lunch will be provided at the hotel or on the journey depending upon the situation. A walk along the banks of Rapti River shall be followed by dinner and a short cultural program demonstrating the tribal dances unique to Chitwan. Early morning jungle safari on elephant back through the dense grassland with close proximity to wildlife in natural habitat will mark the beginning of the exciting day. A visit to elephant stables and elephant baths will be carried out after breakfast. The evening could be enjoyed with a drive through jungle followed by a canoe ride down Rapti River. The team will take drive to Pokhara after breakfast. The road trip will be accompanied by subtropical jungles and fertile vegetation followed by hills, small settlements and terraced farms as the travel proceeds. After checking in to a hotel and taking rest upon arrival, the natural grandeur of the city will be experienced firsthand through a stroll in the streets of Pokhara. An early morning hike to Sarangkot will start from Naudanda. 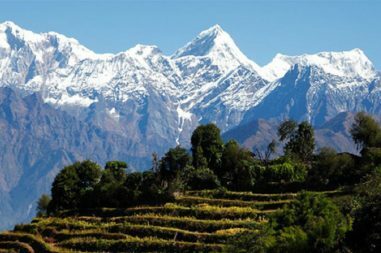 A stop at a tea-house in Sarangkot proffers the sights of Annapurna and Dhaulagiri Mountain Ranges in the north and the city in the south. The night will be spent here watching the sun set in the mighty Himalayas. Waking up before sunrise will allow the team to enjoy the first morning rays of the sun falling on the Annapurna and Dhaulagiri Mountain Range. 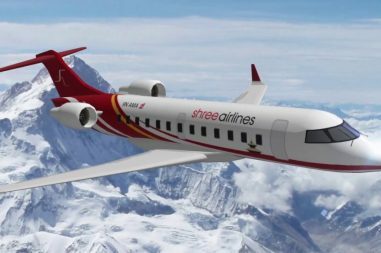 The team will descend to Pokhara for sightseeing the city’s landmarks such as Devi’s Falls, Gupteshwor’s Cave, Phewa Lake, Bindabasini Temple along with visit to International Mountaineering Museum and Tibetan refugees camp after sunrise. A quick breakfast in Pokhara allows the team a promising drive to Nagarkot via Kathmandu. Lunch will be made available during the journey and the night will be spent in Nagarkot, a village within Kathmandu Valley that is renowned for its magnificent views of sunrise and sunset. A view of awe-inspiring sunrise on the Himalayas and a quick breakfast will enable the team take a drive downhill to Bhaktapur and Patan. The exploration of authentic local lifestyle and Newari architecture through the exploration of Nyata-Pola Temple, the Golden Gate, water spouts and the 55 Window Palace will be done. Mouthwatering authentic Newari cuisine will be served as lunch in Bhaktapur. From here, a drive to Patan will take the team to the Patan Durbar Square, a world heritage site affluent in ancient arts and architecture. A farewell dinner will be hosted by Bharal Adventure team to commemorate the conclusion of the expedition.